Whether you need to grab a quick lunch on your break from work or prefer a relaxing meal with friends on the weekend, there is something for everyone in Woodbridge. Where do you find these amazing restaurants? Right here! We checked Yelp for some of the top-rated restaurants to save you some time. Visit one of these options on your next lunch outing. Where are top-rated restaurants near me? Bistro L’hermitage is located at 12724 Occoquan Rd. in Woodbridge, VA. This address is in the 22192-zip code area. For more information, call 703-499-9550. They are open for lunch Thursday – Sunday from 11:30 AM – 3 PM. With 248 reviews, this restaurant has a 4.5-star rating. Looking for an elegant dining experience? This is the perfect place to visit after a morning of browsing local shops. 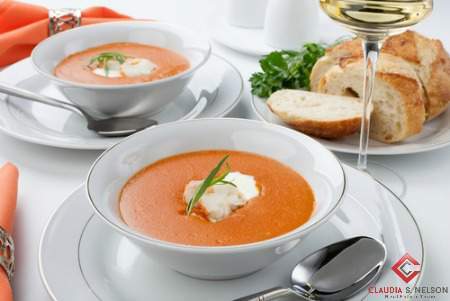 Start off with the Lobster Bisque with Sherry Cream or a serving of Escargots. Sandwich options include a Grilled Chicken Reuben with warm potato salad, the Bistro Bleu Burger, or the open faced croissant tuna sandwich. Entree options we spotted include Bistro Omelette, Seared New York Strip Steak, and Garlic Shrimp with Israeli Couscous and Spinach. Astoria Pizza Restaurant is located at 13436 Jefferson David Hwy. in Woodbridge, VA. This address is in the 22191-zip code area. For more information, call 703-491-5044. They are open daily from 11 AM – 10 PM. With 243 reviews, this restaurant has a 4.5-star rating. The decor may not be fancy, but the food is amazing. The pizza dough is made from a secret recipe, right in house! Meat topping choices include pepperoni, Italian sausage, ground beef, and ham. Veggie choices include green peppers, mushrooms, olives, and onions. Pizza isn’t the only option here! They serve burgers, cheese steaks, gyros, and subs. Italian entrees include spaghetti, lasagna, and chicken parmesan. More top-rated restaurants near me! Viet Chopsticks is located at 14532 Potomac Mills Rd. in Woodbridge, VA. This address is in the 22192-zip code area. For more information, call 571-398-6674. They are open Sunday – Thursday from 11 AM – 10 PM and Friday – Saturday from 11 AM – 10:30 PM. With 64 reviews, this restaurant has a 4.5-star restaurant. The atmosphere is warm and inviting. They serve up over 200 courses at this Vietnamese restaurant. The staff is helpful and ready to make suggestions should you be new to this style of cuisine. 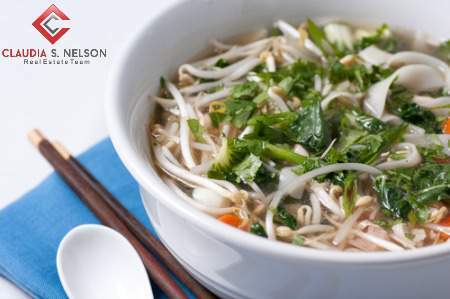 Menu options we spotted include Beef or Chicken Pho, Grilled Chicken on Rice, Grilled Pork with Spring Roll, and Tofu Stir Fry with Mixed Vegetables. Leave room for one of their amazing desserts. Options include Flan Cake, Fried Banana Roll, Sticky Rice and Mango, and Fried Ice Cream. Silver Diner is located at 14375 Smoketown Rd. in Woodbridge, VA. This address is in the 22192-zip code area. For more information, call 703-643-2363. They are open Sunday – Thursday from 6:30 AM – 12 AM and Friday – Saturday from 6:30 AM – 2 AM. With 215 reviews, this restaurant has a 4-star rating. This locally owned and operated restaurants is serving up diner favorites every day. Start with the Local Kale & Bleu Cheese Salad or the Carolina Fried Shrimp. Try the Kickin’ Short Rib Burger, Spinach Lamb Burger, or the Goat Cheese Spinach Turkey Burger. Looking for a healthy choice? Options include Baja Fish Tacos, Lemon Chicken Picatta, and Mango Vegetarian Stir Fry. This local information is brought to you by Claudia Nelson. Remember her for all your real estate needs.